Former deputy spokesman of the All Progressives Congress (APC) Comrade Timi Frank, has challenged Gen. Muhammadu Buhari and his campaign Director-General Rotimi Ameachi, to tell Nigerians why lives are been lost daily at their party's rallies. 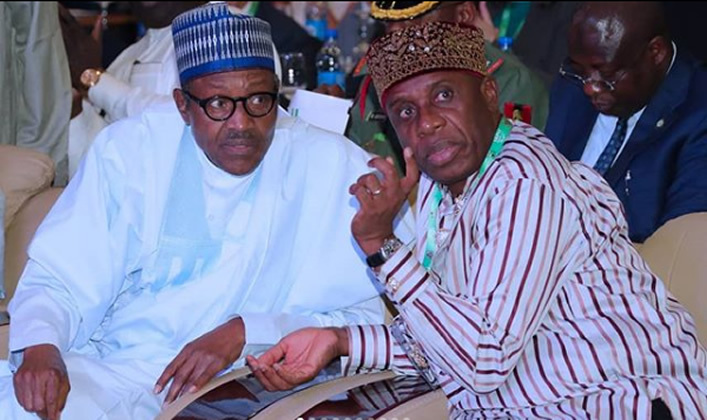 While paying condolences to the family of those who have lost their lives in APC rallies across the country, the political activist urged Nigerians to be sensitive by avoiding gathering of APC leaders, receiving money or materials from "blood sucking party. "If not for rituals, the number of deaths recorded so far at APC rallies are enormous. How come no single death has been recorded in PDP rally that had more crowd? Our spiritual leaders must unravel what is killing people at APC rallies. "I call on Nigerians to stop collecting campaign materials like T-shirt, face cap, Trader moni and so on from APC leaders. This is a party that has brought pain and anguish to Nigeria. Since APC took over in 2015, blood has been flowing as if it is normal. Hundreds have been lost to farmer/herders crisis in Benue, Plateau and Tarraba states, bandits killed more in Kaduna and Zamfara, Boko Haram and other killers gained more ground and now Nigerians are still dying at common campaign rallies of APC. "These and many more have shown that the hands of APC leaders are not clean. We must reject them through our votes, we must stand by and protect our votes. "The burning at INEC offices is part of the strategies agreed upon at a midnight meeting Prof. Yakubu held with the president at Defence house recently. Strange things already happening but it is clear that the whole world is watching. "I will warn the INEC leadership to desist from carrying out evil agenda and template prepared to rig the forthcoming election because if anything contrary happens against the will of the people, the INEC boss will be held responsible," Frank stated. The Bayelsa born activist also condemned a media report credited to the INEC boss where he warned the foreign observers to only "observe and not monitor. "I'm using this medium to call on international community to hold the INEC boss responsible if anything happen against the will of the people."